A revamped exterior boasts outstanding aerodynamics for enhanced fuel efficiency and quietness with a striking new silhouette. Ultra-compact LED headlights and L-shaped daytime running lights guarantee exceptional illumination combined with a distinctive look. The ES’s beautiful shimamoku trim, polished to a high sheen, is just another example of luxury in the details. If you have a Qi-compatible phone, the ES 350 can charge it wirelessly with the available charging tray. An all-new approach to interior lighting has been adopted to achieve a warm and gentle atmosphere within that cabin. An enlarged moon roof allows natural light to enter and enhances the cabin’s sense of spaciousness while cutting 98% of UV rays. A vibrant 12.3-inch multi-information screen offers convenient access to numerous vehicle features such as the audio, climate and navigation systems. 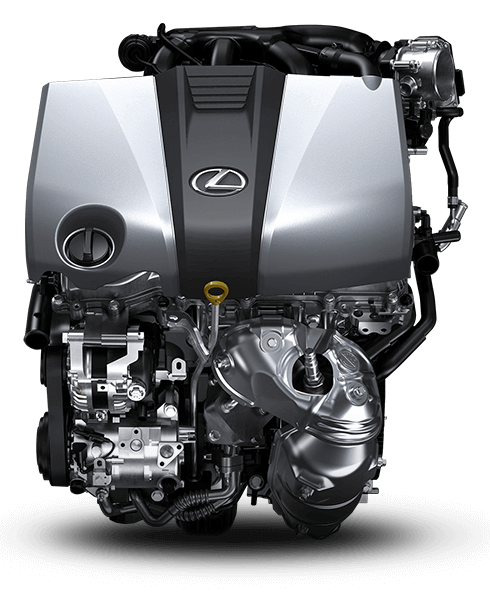 The ES 350 is powered by a 3.5-liter, V6 engine mated to an eight-speed automatic transmission. To conserve your fuel for a longer ride, the Stop & Start System shuts off the engine when your ES comes to a stop. Confidently tackle corners with ACA, which helps drivers achieve their desired line on winding roads and sharp turns. By using multiple silencers in the intake system, engine noise is reduced across all frequency bands from low to high engine RPM. The High-speed Dynamic Radar Cruiser Control helps your Lexus maintain a safe distance from the vehicle in front of you. The parking assist monitor accurately guides your parallel and reverse parking by displaying projected parking lines superimposed on the rear camera´s video feed. Be the first to get the latest updates and promotions on the ES 350.